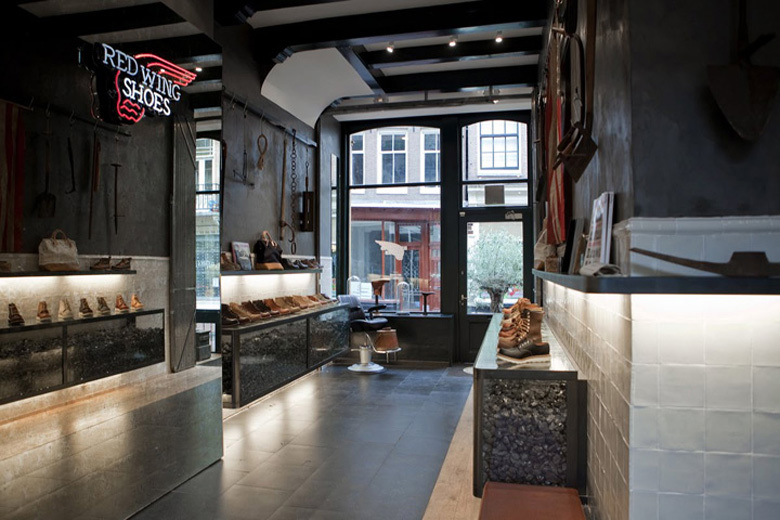 Designer: Joachim Baan, Pim van Lingen, Kenneth Jaworski, Roeland interieurbouw and the gentlemen from Tenue de Nîmes. 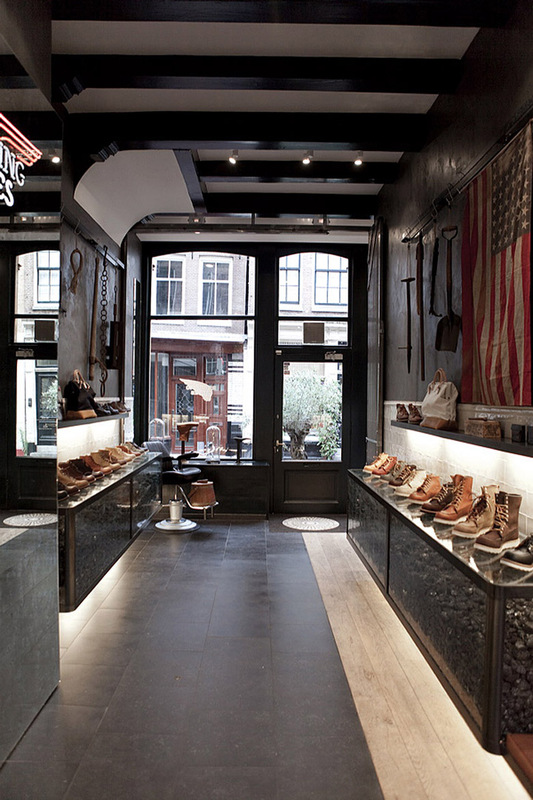 The Red Wing store in the “9 streets” area pays tribute to the rich history of the brand, which was launched in 1905 by Charles Beckman, having spotted a growing demand for sturdy work boots. 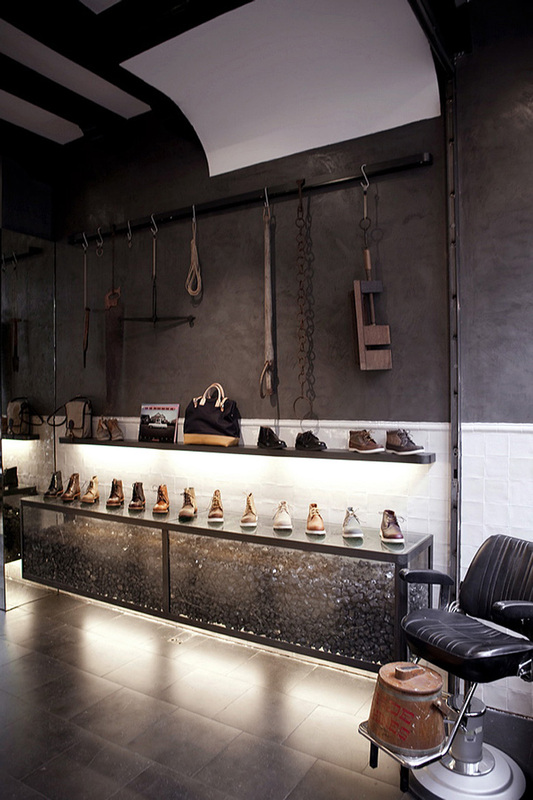 The shoes are displayed on top of steel and antique glass show cases, which are filled with coal. 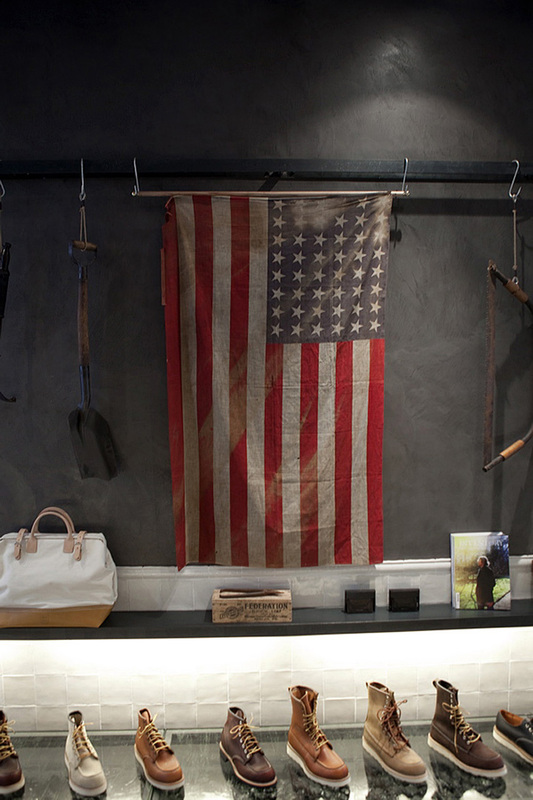 The dark, concrete walls have been decorated with workman’s tools that date back to the days when Red Wing was a fledgling company. 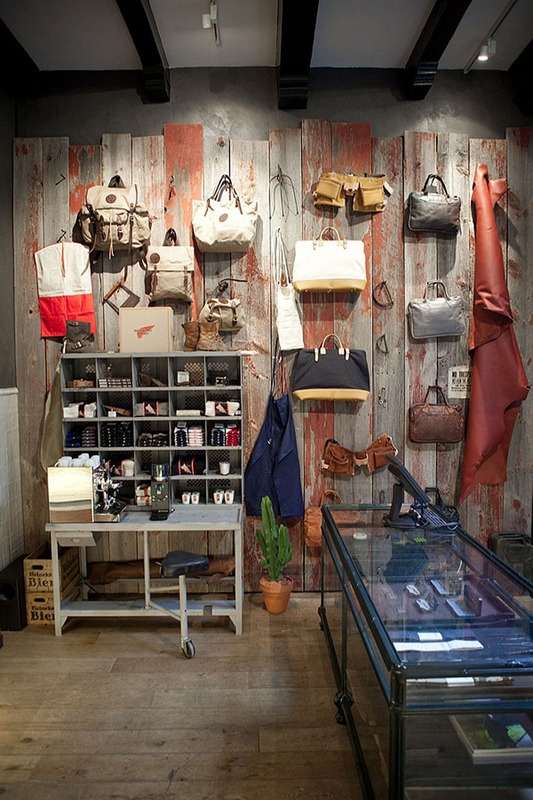 One wooden wall, which itself was made from materials from an old Amish water tower, is used to exhibit most of the accessories on offer. 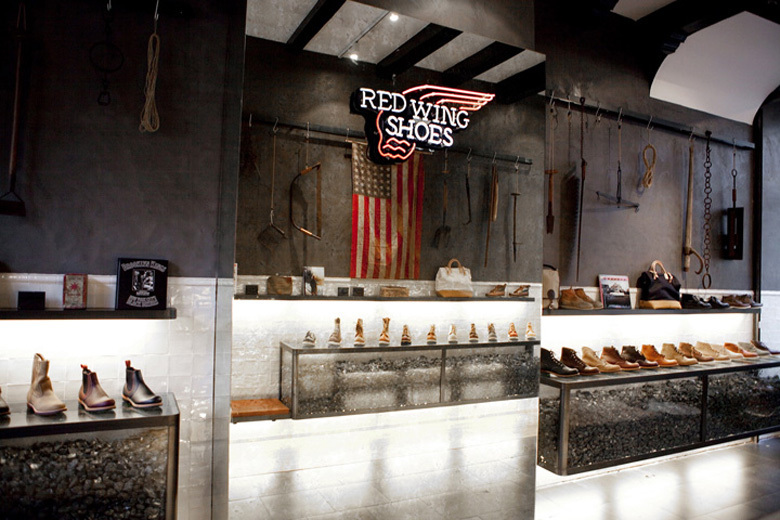 Everything between these walls reminds you of the history of Red Wing, but in a contemporary setting. 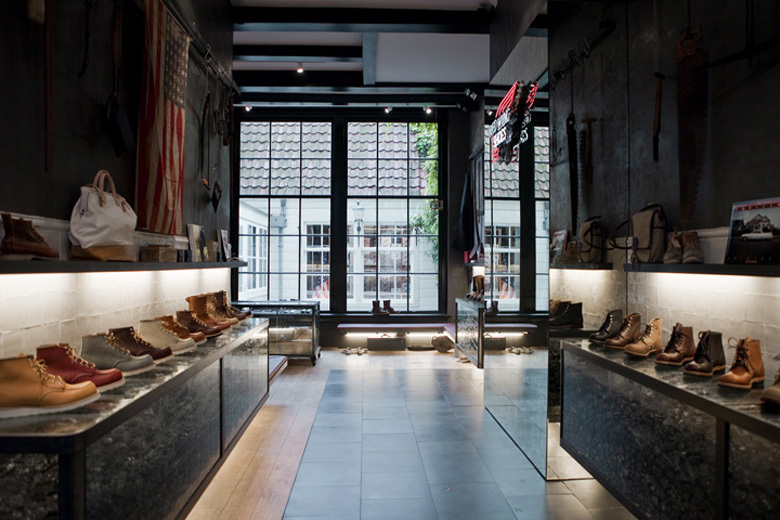 The store’s design is the result of a collaboration between a number of exceptional designers: Joachim Baan, Pim van Lingen, Kenneth Jaworski, Roeland interieurbouw and the gentlemen from Tenue de Nîmes.